No buildings exist at this address in 2016. Permits were issued in 1972 and 1973 to Schloss Advertising to erect billboards here along the Brookshire Freeway. No buildings exist at this address in 2016. A 1963 permit exists for “wiring,” likely for a house that was subsequently demolished to build the Brookshire Freeway. No buildings exist at this address in 2016. A permit was issued in 1974 to Schloss Advertising to erect a billboard here along the Brookshire Freeway. 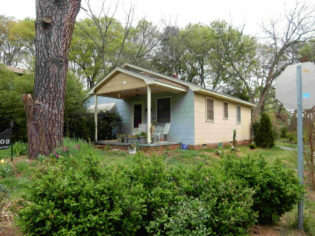 Built 1958-1959 for Johnny A. Williams and his wife Felecia. Trained at NC A & T University, known for its engineering and technical courses, Mr. Williams initially taught electronics in Charlotte high schools. He later later worked in the nuclear power industry as an administrator at the Westinghouse turbine factory in Charlotte. Contractor for construction of the house was Mangie McQueen, a McCrorey Heights neighbor who was one or the city’s busiest African American homebuilders. 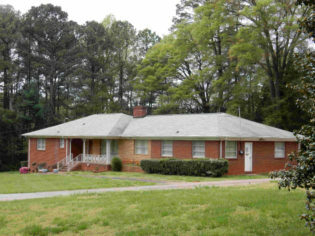 Built 1955 – 1956 and first occupied by David W. Black and his wife Lillian, at least into the 1980s. Mr. Black worked in domestic service. He was a “houseman” for Julian Harris, a textile executive who lived in Charlotte’s elite Eastover neighborhood. No building now exists at this address. In 1957 Novella McCrorey Flanagan took out a permit to demolish an earlier structure here. Built in 1963-64 for Rev. J.T. Jones, an official with the Presbyterian Church who assisted rural churches throughout the Southeast, and his wife Ione Jones, a long-time beloved professor of English at Johnson C. Smith University. The couple’s grown son J. Charles Jones was one of the region’s foremost Civil Rights leaders, who co-led Charlotte’s Sit-Ins in 1960 and went on to national Civil Rights activism with the Student Nonviolent Coordinating Council 1960 – 1965. 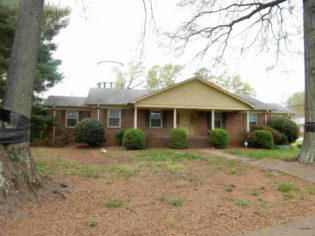 The Johnson family, publishers of the Charlotte Post, the city’s leading African American newspaper, built this house in the early 1970s. 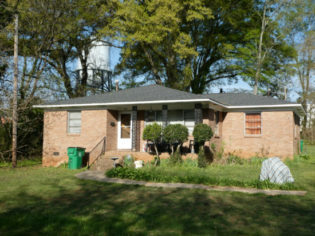 Willie L. Johnson, Sr., lived here during the years that he assumed financial control of the Post. Longtime resident of the house was Johnson’s son Willie L. Johnson, Jr., who resided here with his wife Edna R. Johnson for over two decades. George W. C. Moreland took out the permit to build this single-family rental residence in 1964. Moreland, one of the city’s few African American real estate investors, lived two blocks away in McCrorey Heights. Moreland developed four rental dwellings on this block, all in the ranch-style, apparently variations on the same plan. The initial tenant made his mark on Charlotte as a leading medical man. 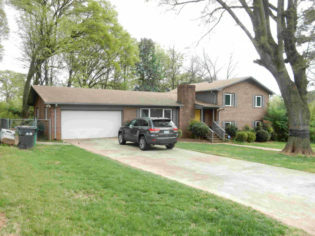 Dr. Spurgeon Webber, Jr, and his wife Loretta rented here as he was beginning his dental career, with his office on Keller Drive (renamed Dr. Webber Avenue circa 2014) near West Charlotte High School.